Nicholas Carr writes about technology, culture, and economics. His most recent book, The Shallows: What the Internet Is Doing to Our Brains, is a 2011 Pulitzer Prize nominee and a New York Times bestseller. Nick is also the author of two other influential books, The Big Switch: Rewiring the World, from Edison to Google (2008) and Does IT Matter? (2004). His books have been translated into 25 languages. Nick has been a columnist for The Guardian in London and has written for The Atlantic, The New York Times, The Wall Street Journal, Wired, The New Republic, The Financial Times, MIT Technology Review, and other publications. 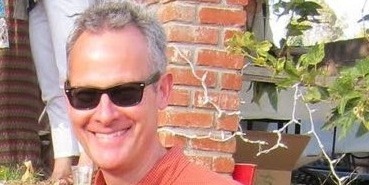 His essay “Is Google Making Us Stupid?” has been collected in several anthologies, including The Best American Science and Nature Writing 2009, The Best Spiritual Writing 2010, and The Best Technology Writing 2009. Nick is a former member of the Encyclopedia Britannica’s editorial board of advisors, was on the steering board of the World Economic Forum’s cloud computing project, and was a writer-in-residence at the University of California, Berkeley. He writes the popular blog Rough Type. Earlier in his career, he was executive editor of the Harvard Business Review. He holds a B.A. from Dartmouth College and an M.A., in English and American Literature and Language, from Harvard University. This entry was posted in Uncategorized on January 28, 2014 by nicholas carr.